I know. So dorky, right?! And I know what some of you are probably thinking: this takes more time than normal people are willing to spend on a packing list. Though I usually whip these up in about 15 minutes or less. What can I say? I’m a visual person, and this is the perfect way for me to see if I’m going to have everything I need before I drag it all out of the closet and dresser. My visual packing list also shows me if there’s anything repetitive, if I’ll be able to mix-and-match, or if I planned more than I need to take. To make the visual packing list, I simply right-click and copy the images of my clothes from online stores, and then I paste the copied images onto a blank document in Photoshop. I scoot the picture layers around to fit, and add/delete as needed. Easy breezy! 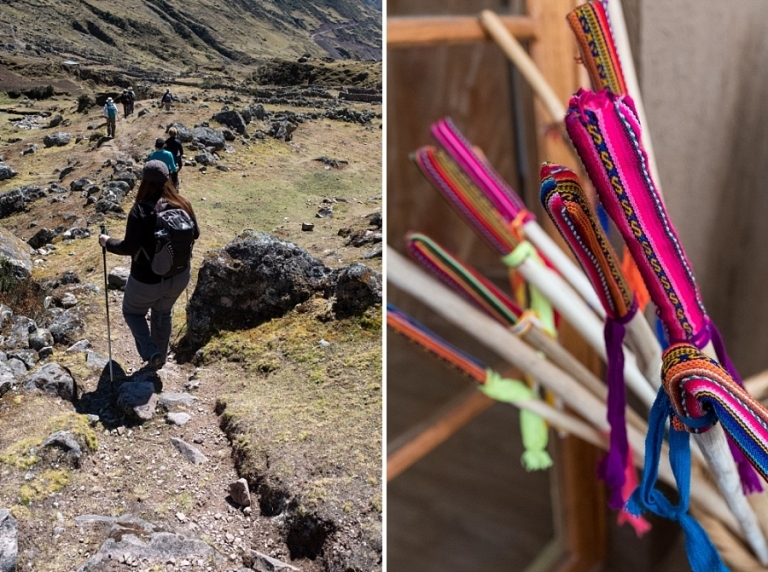 For this trip to Peru, Chris and I spent a couple of days each in Lima and Peru, but the majority of time we were trekking through the Sacred Valley on the Lares Adventure with Mountain Lodges of Peru. 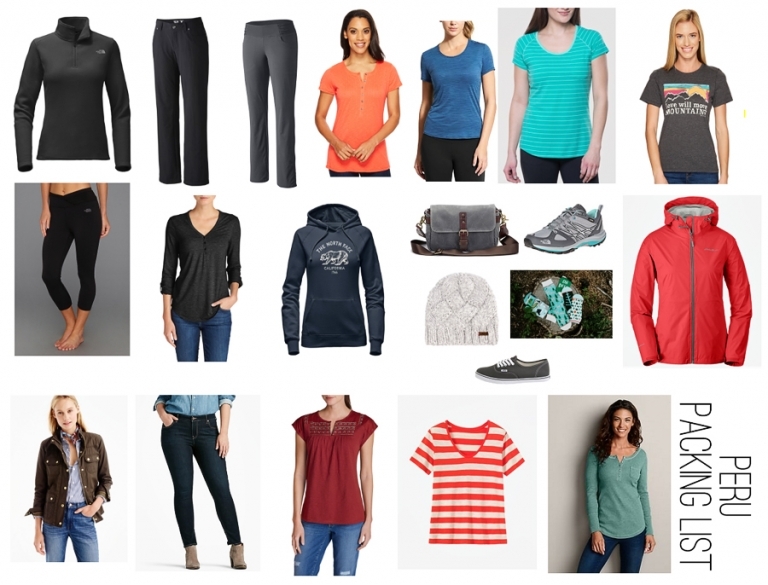 So I mainly needed hiking-appropriate outfits, and a few things I could wear around the lodges in the evenings. 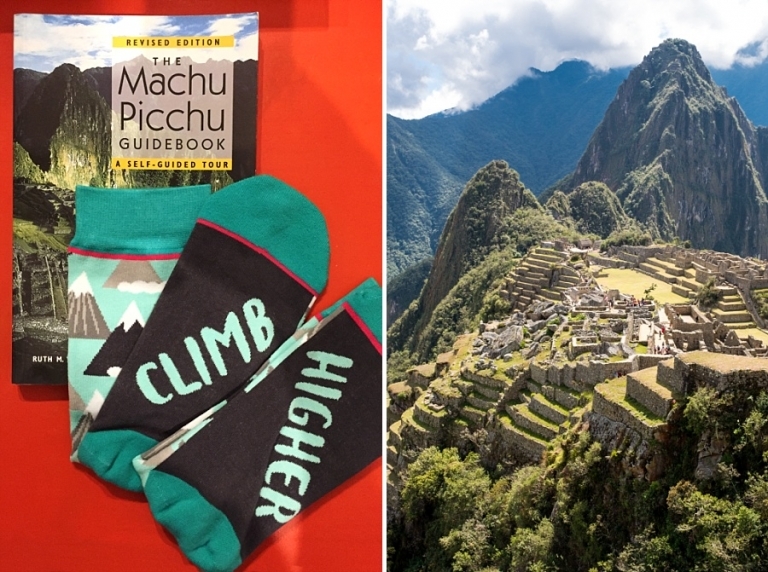 And also mountain-themed socks, of course. 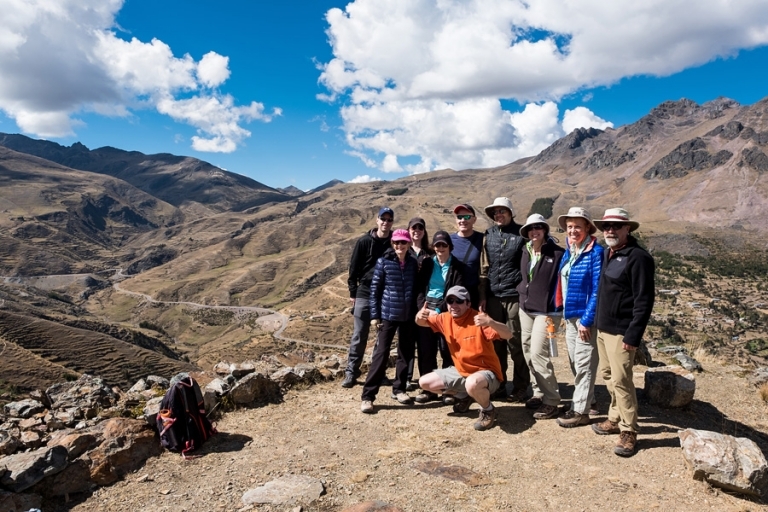 My hiking outfits were the hardest part for me to decide on because my pre-trip research found photos of people hiking the Sacred Valley trails in tank tops and shorts, but also in puffy jackets, gloves, and scarves (same people on the same trip). Elevations on our trek ranged from 6,232’/1,900 m to 14,646’/4,464m. Most of our days we needed long sleeves and layers that we could peel off as the day got warmer, but I never ended up in short-sleeves except for at Machu Picchu where it felt much warmer than the rest of the trip. All of our stuff was neatly organized into our trusty Eagle Creek packing cubes and into our suitcases. It’s worth mentioning that while Chris and I tend to only bring one carry-on suitcase each (plus a personal item/backpack), our plan was foiled this time around because of my hiking poles. I bought a really great new pair of poles to use on the trip specifically because they folded down into a compact size, only to find out that hiking poles are not allowed in the airplane main cabin and we had to check our bags! Womp womp. MLP provided poles, too, so I probably didn’t even need to bring mine. Oh well. I ended up wearing everything I brought except for the rain jacket and the knit beanie. Generally I don’t think anything was missing from what I packed, although I did feel like I kept repeating my warmest hoodie every night around the lodge. I easily could have bought an extra sweater though. 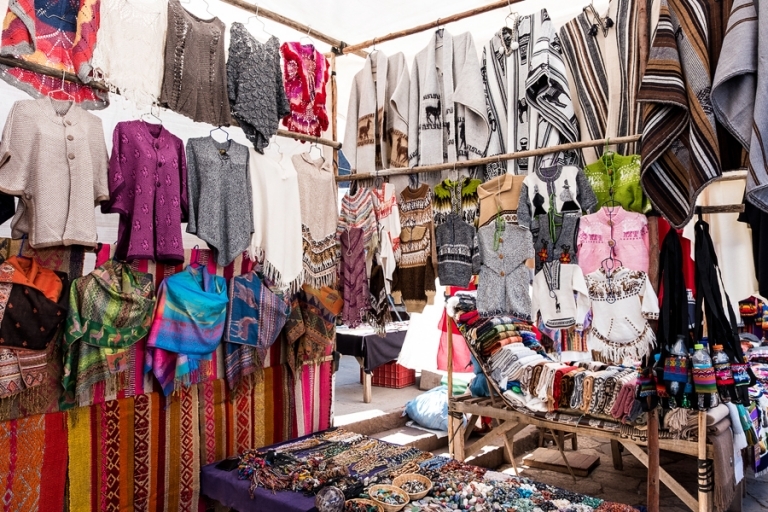 We had plenty of opportunities to buy beautiful alpaca sweaters at almost every turn! So that’s my packing list for two weeks of mainly doing outdoors-y stuff in Peru. I hope it helps you prepare for your own adventure! Let me know if you have any questions or concerns about packing for either of these places.